Key demand boosters include the opening of a new airport terminal, increase in corporate travel, and more calendar events in 2018. Hoteliers are also set to benefit from a slowdown in supply, which should increase pricing power. Overall, we expect RevPAR to bounce back by 3-7% during 2018- 2019, after falling ~15% from its 2012 peak. Our REIT picks are CDL Hospitality Trust and OUE Hospitality Trust. F1 – wheels are rolling again till 2021. Singapore GP Pte Ltd and Singapore Tourism Board (STB) recently announced the extension of Singapore’s Formula 1 (F1) leg for another four years. The extension is positive for the tourism sector and hospitality players. Over the last 10 years, F1 has attracted over 450,000 international visitors to Singapore, and accounted for about SGD1.4bn in tourism receipts based on official data. The extension also comes on the back of a 19% YoY surge in average attendance in 2017. Anecdotal evidence points to near full occupancy for track side hotels during F1 week (15-17 Sep) and we expect positive spillover effects to be felt by other hoteliers in Sep.
Changi T4 could potentially add 5% incremental visitor arrivals. The new Terminal-4 (T4) is scheduled to commence operations on 31 Oct 2017 with nine airlines moving their operations there. T4 has the capacity for 16m passengers pa. Assuming 60% capacity utilisation in 2018, with 40% being incremental new demand and applying a visitor ratio (visitor arrivals/passenger movements) of 22% (same as existing) translate into 0.8m additional visitors (~5% increase). Additionally, we see positive impact to visitor demand from Qantas shifting back its base to Singapore, and Norwegian Air commencing operations. Rebounding global economy – positive for corporate sector travel. World Bank, in its Jun 2017 report, noted that global growth is firming with growth expected to rise to 2.7% in 2017, up from 2.4% in 2016, before strengthening to 2.9% during 2018-2019. Growth in emerging markets and developing economies is predicted to recover to 4.1% in 2017, and reach an average of 4.6% during 2018-2019. Key drivers are a pick-up in trade and manufacturing activity. We believe this demand-led growth augurs well for intra-regional corporate travel and should stabilise weakening corporate sector demand. Hotel supply saw a CAGR of 5.1% during 2011-2016. For 2017, another 4.0% of hotel rooms is expected to come onstream (mostly in the upscale/luxury and mid-tier segments), which should exert some pressure on RevPAR. However in 2018-2019, the supply pipeline would be limited to 1.7% and 1.9% respectively, which should reduce competitive pressures. Overall, we expect RevPAR to decline by 2-3% in 2017, before bouncing back by 3-7% during 2018-2019. Key near-term risks for S-REITs are sharp cutbacks in quantitative easing (QE) programmes by central banks, and a slowdown in global GDP growth. Hospitality REITs valuations still attractive. YTD, hospitality REITs are up 16.4%, outperforming S-REIT’s 13.6% and STI’s 11.8%. Despite the outperformance, hospitality REITs’ average forward yields of 6.2% and yield spread of 4.1% are the highest among sub-sectors. 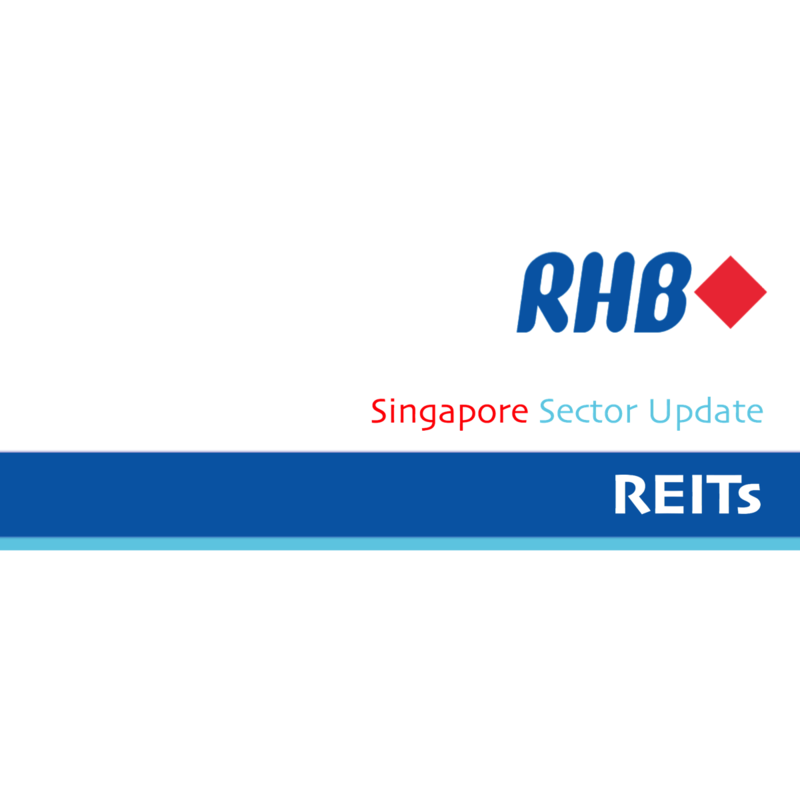 The sub-sector’s P/BV of 0.98x is also reasonable compared to S-REITs average of 1x. Our picks are CDL Hospitality Trusts and OUE Hospitality Trusts.